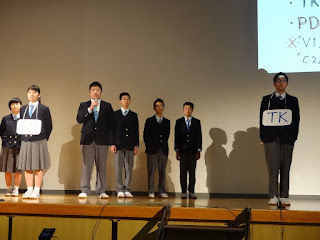 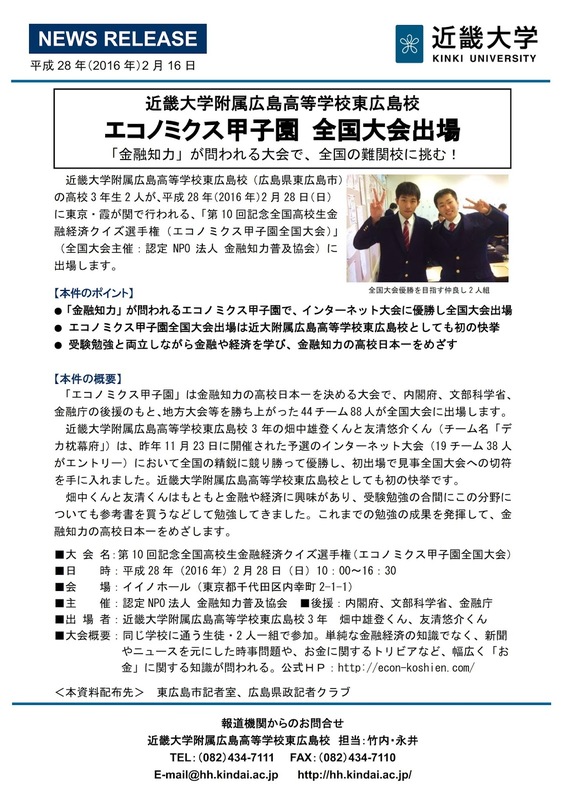 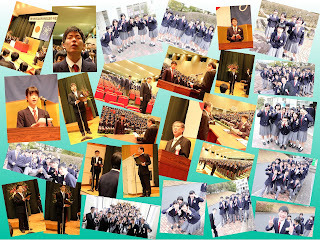 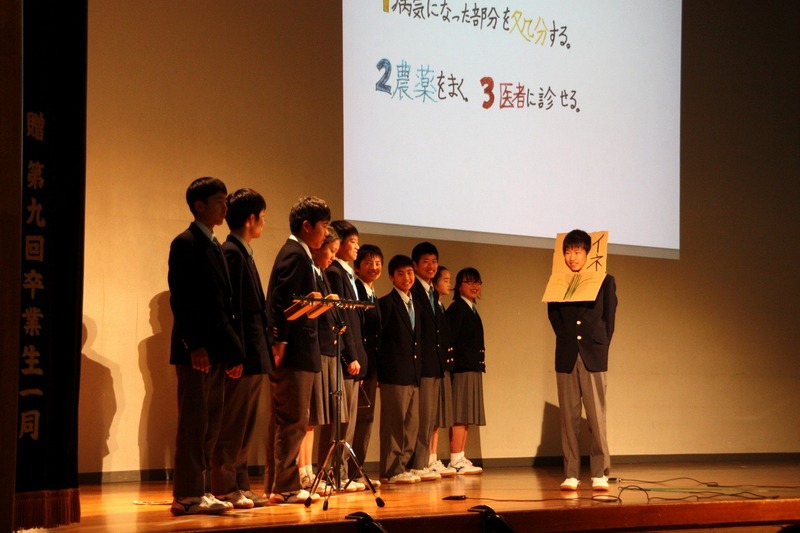 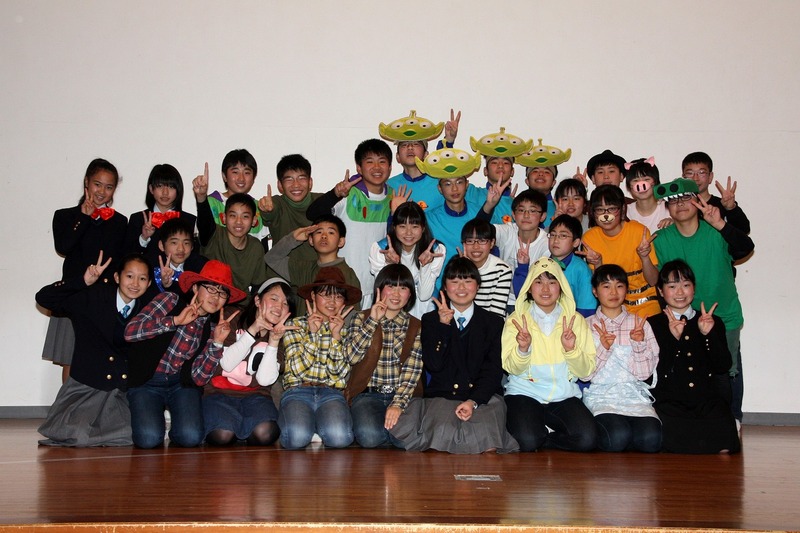 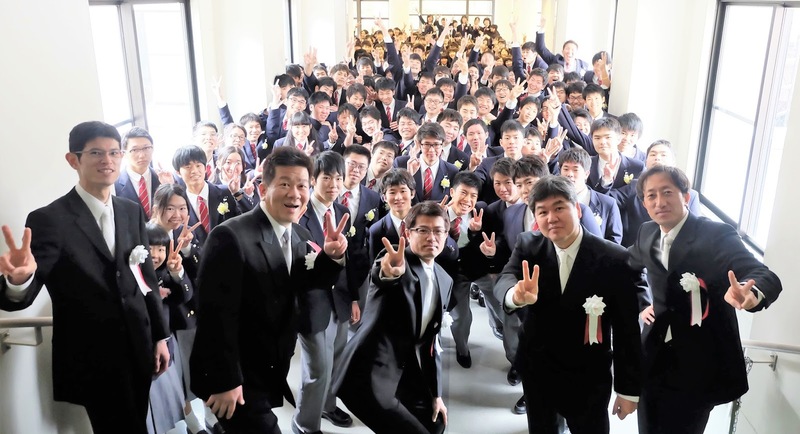 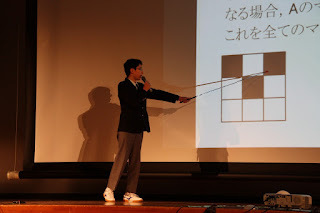 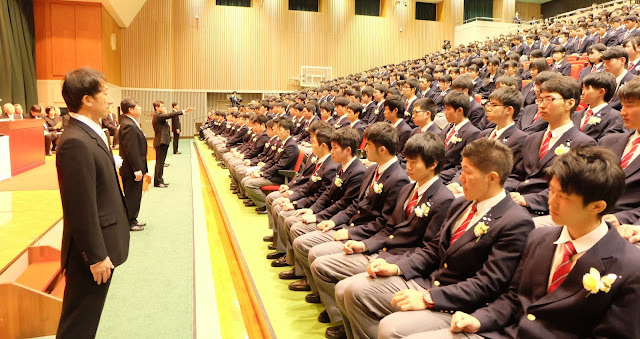 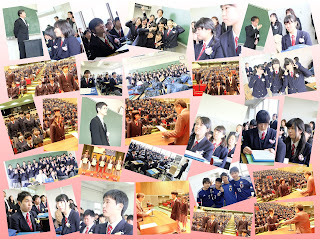 Today one of our graduates, Deguchi Yuya, came back to our school and gave our junior high school third graders a speech about life at Kyushu University. 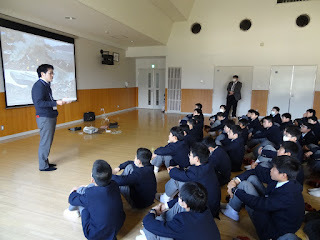 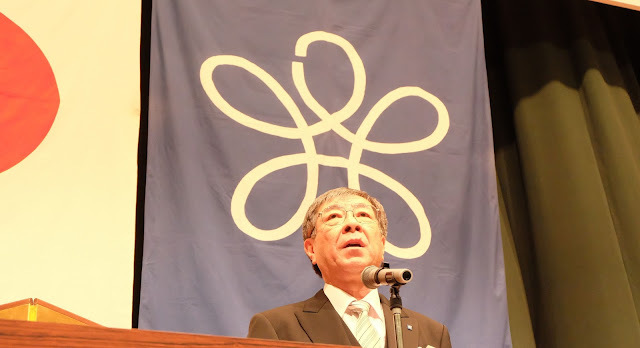 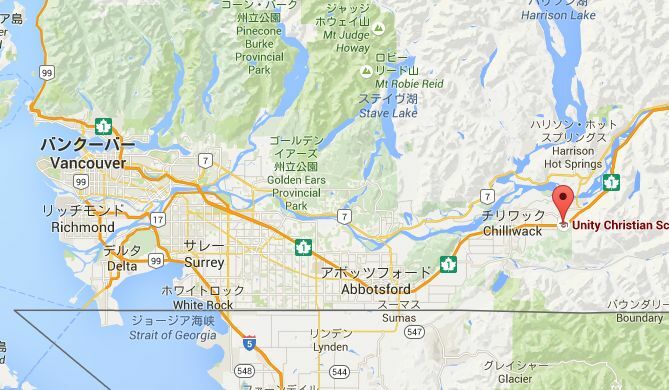 He told them about the city of Fukuoka and Kyushu itself, and then talked about the various departments and research areas of the university. 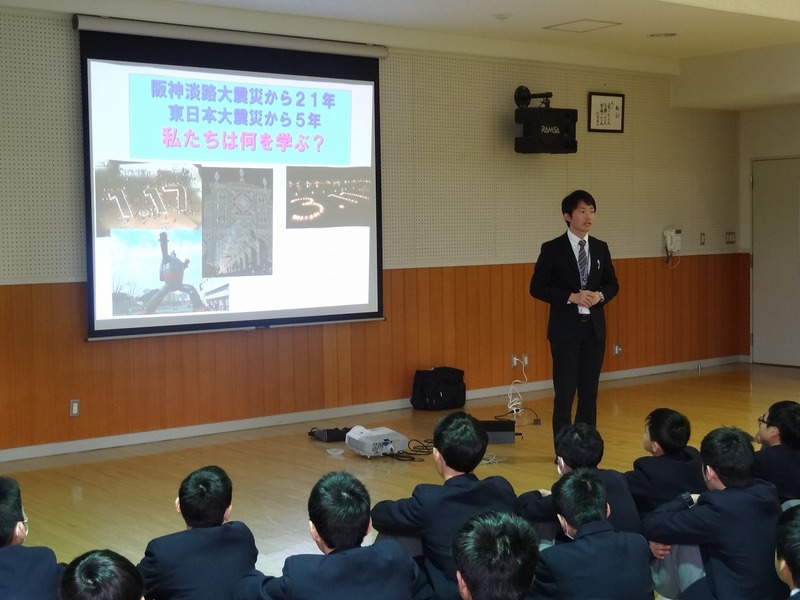 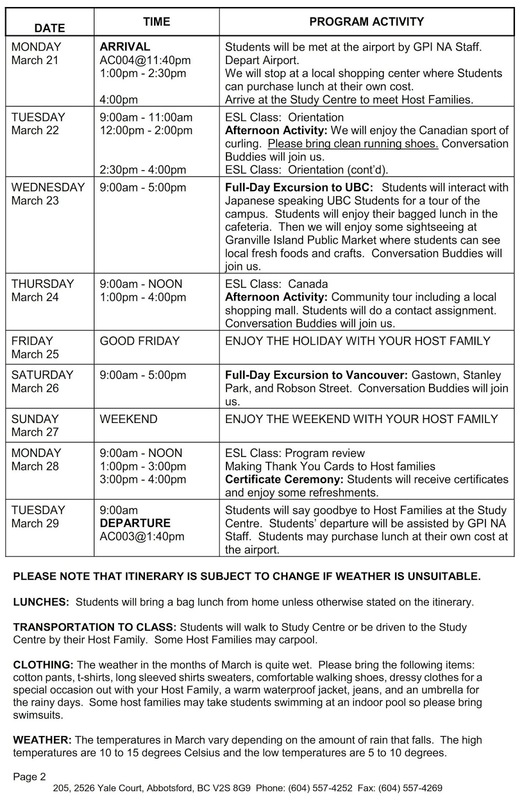 Many students were surprised to hear that even if they choose to study science-related subjects, they will still have to learn and use English as many courses are taught in English and most research papers are published in English these days. He advised them to learn as much English as they can while they are still in school to make their lives easier in the future! 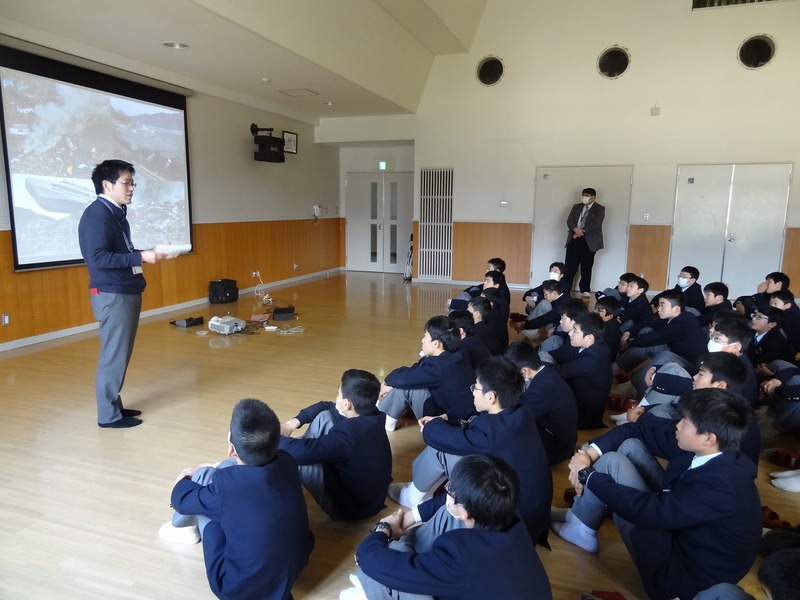 We really enjoyed hearing about his experiences and it provided our students with a good opportunity to think about their futures.